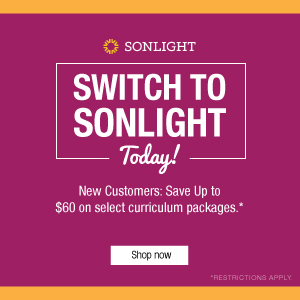 I read this article and wanted to share it with you: 4 Field Trips You Haven't Taken (& How To Tie Them to Sonlight) https://blog.sonlight.com/field-trips.html. 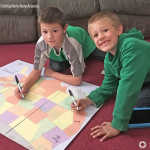 We all know the best part of homeschooling is being able to open our front door use our community as a classroom. And we know that the best part of being a Sonlight family is the rich reading experiences we get to share. Exceptional books introduce us to facets of history, society, and the world that we could never feel so deeply otherwise. 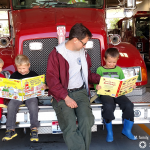 If you’ve been Sonlighting for very long, no doubt you marry books and field trips as often as you can to cultivate an adventurous learning environment. You visited an aquarium after Dolphin Adventure. You toured an art museum after From the Mixed-Up Files of Mrs. Basil E. Frankweiler. You trekked to a farm after Mountain Born, Thimble Summer, or The Year at Maple Hill Farm. Getting out and seeing firsthand the elements of a story or work of non-fiction cements it in our understanding. 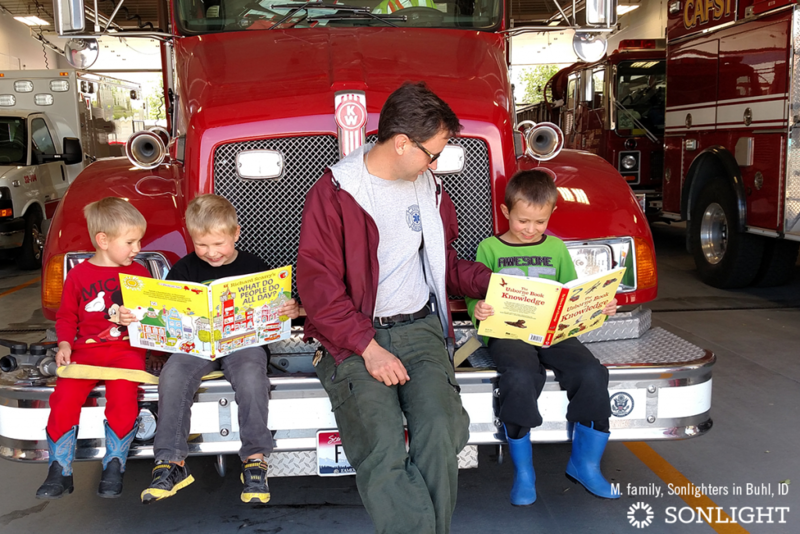 Not only do children hear how the mail system works in Richard Scarry’s What Do People Do All Day, but then they see it in action when they visit the post office. All the senses are engaged! The details that may have escaped them in the book are suddenly prominent and yes, maybe even a door is opened to a new occupational calling. You just never know! 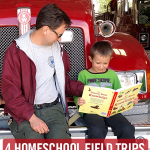 Because field trips have the potential to be so powerful, and because we have such an abundance of resources in our communities, it’s important to think beyond the norm to get our kids—and ourselves—out there, gaining new experiences and better understanding. 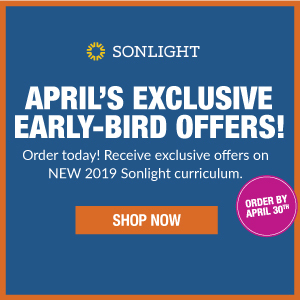 While some field trips seem too young for older kids, I guarantee you that if you start digging deeper as your children progress through Sonlight’s HBL programs, you’ll find a wealth of multi-age options that will engage and enlighten your youngest learner and your oldest, too! 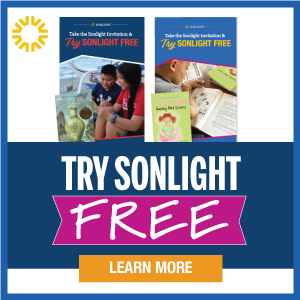 This is a beautiful opportunity for Sonlight families, especially since so many of us find that Read-Slouds draw the whole family together in shared experience. Kids (and adults) of all ages will be fascinated to see what goes into maintaining and repairing the many machines we use every day. Lawnmowers, chainsaws, generators, and scooters all fall under the small engine category. Pick a country, and find a shop! From the delicacies of Asia to the exotic (to us) foods of the Middle East, chances are excellent that you’ll have a market hidden somewhere in your community that specializes in foods of other lands. While you can order individual items online, nothing beats walking the aisles, smelling the smells, and seeing what’s on offer on the shelves. There are so many Sonlight books that tie in to this field trip, but I’d be remiss if I didn’t point out that HBL F: Eastern Hemisphere is crying out for a whole year of such outings! If you’re reading Catching Their Talk in a Box or Window on the World, or your child is studying physics, definitely make time for a trip to a local radio station. Choosing a smaller, local station to tour means the chance to walk in to booths and likely get an up close and personal glance of the inner workings of a broadcast in progress. Missionaries of the past and present have utilized radio as an evangelism tool, and the science behind it is fascinating. 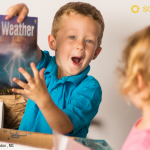 What other ways have you found to bring your Sonlight books to life through field trips? 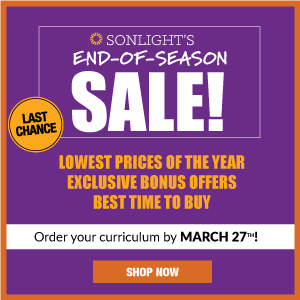 Invest in your children with a curriculum they—and you—will adore. The contact info is there. According to their website, "We are just off the I-15 about 90 miles southeast of Los Angeles and about 60 miles north of San Diego." I personally read Joy Ridderhoff's full bio (on their website) after reading Catching Their Talk, and it was SUCH a blessing to my soul! I want to go and bring the kids along on MY field trip to their offices, lol! Oh, and we were just visiting grandparents. While there, we went to the park with Grandpa. One of my girls went down the slide and everytime she did, Grandpa at the bottom, stuck out his finger and touched her -- causing an electrical shock each time. We wandered down to the lake and when we returned to the playground all 3 of my kids got in on the act. My 13-year-old son slid down, laying with as much of his body on the slide, declaring this is a science lesson in static electricity! (Science E -- we just read this last week.) Then he and his dad started trying to make the electricity jumo from their fingers WITHOUT touching each other. "I see a spark!" Where? Over and over until BOTH had seen the spark jump from one finger to the other. It was a happy mama moment!